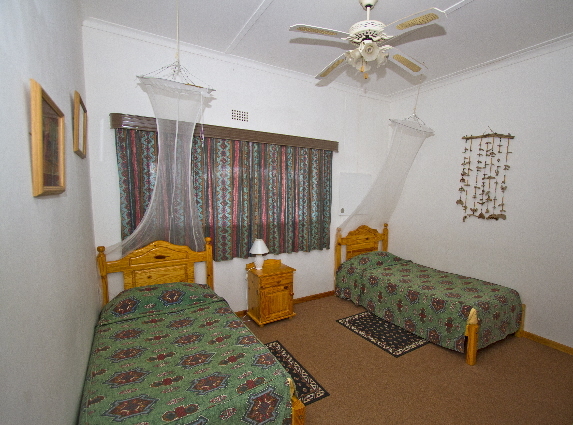 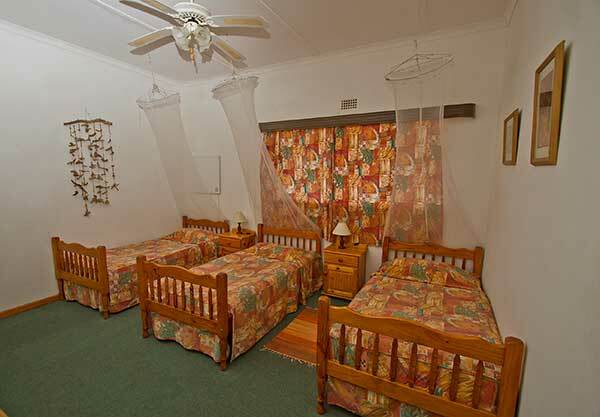 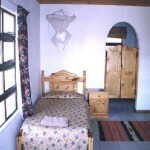 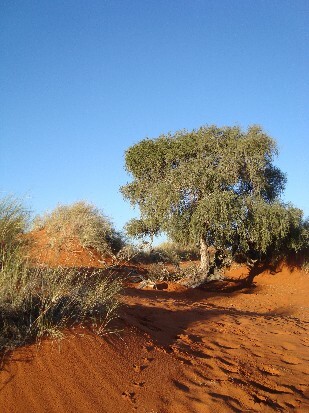 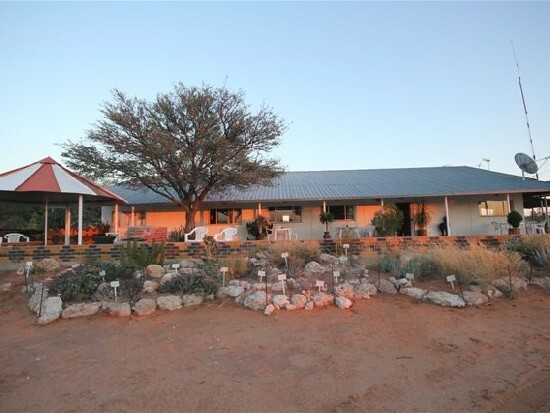 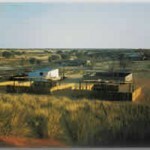 Kalahari Trails offers a wide range of accommodation at reasonable prices. 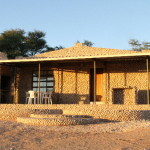 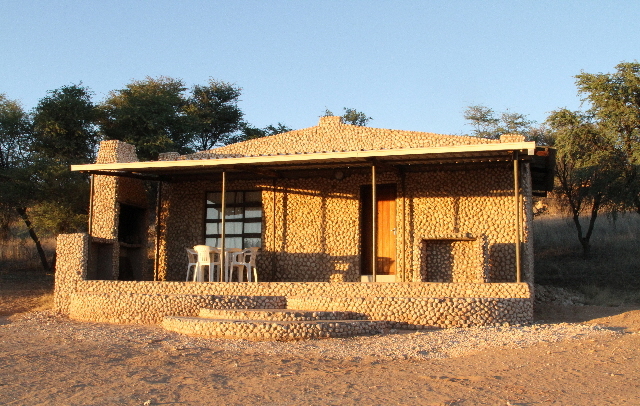 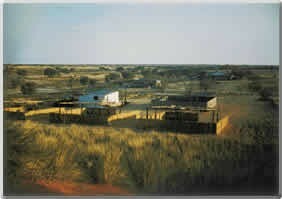 The main guesthouse commands impressive views of the Nossob riverbed and the dune fields stretching to the horizon. It has a large verandah (stoep) where guests can sit in comfort and visitors are welcome to use the barbecue (braai) facilities. 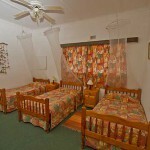 stars is an unforgettable experience. For bird-watchers, there is a small waterhole in front of the house where flocks of desert birds come to drink every day. 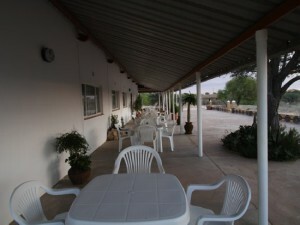 We also have a small botanical garden with typical plants found on the Reserve. 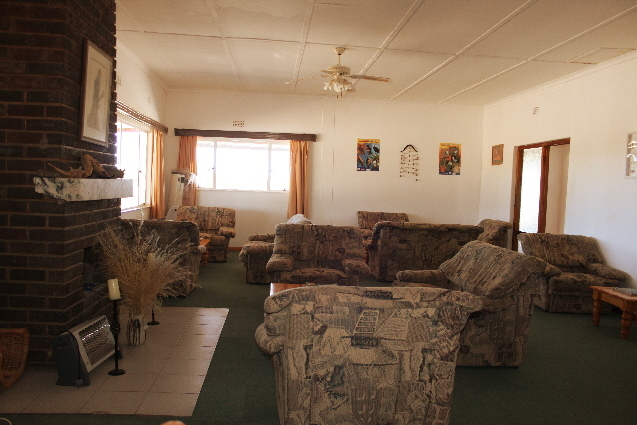 For those chilly winter evenings there is a large, comfortable living room with a fireplace as well as a small dining area to seat twelve people. 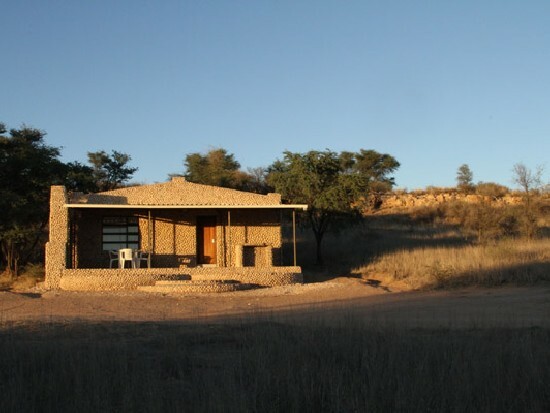 Kalahari Trails is set up for self-catering, but groups can be catered for if we are given notice of this at least ten days in advance. 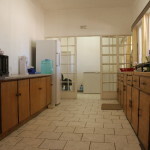 There is a large communal kitchen which is fully equipped with everything necessary to keep and prepare your food (refrigerators, freezers, gas cookers, microwave oven, toaster, all cooking utensils, dishes, cutlery, glasses etc.). 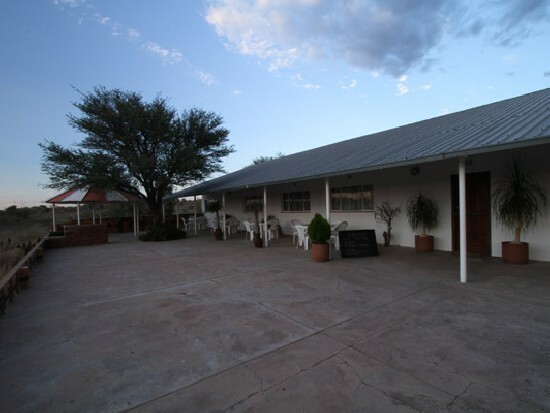 We also have a small shop selling basic foods, snacks, a wide array of soft drinks and beers meat and wood for barbecue (braai) fires. 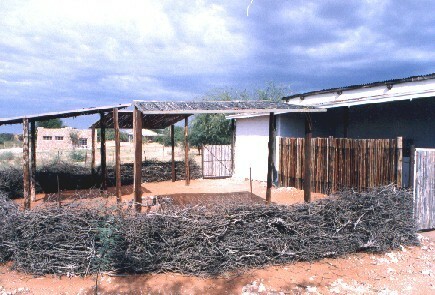 vegetables, bread etc.) 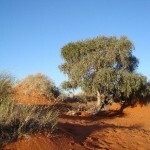 with them because this is difficult to obtain in the desert. Upington has several supermarkets with a wide choice of available foodstuffs. 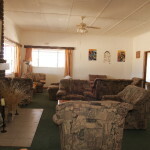 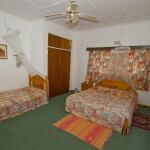 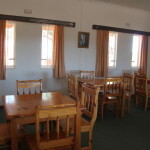 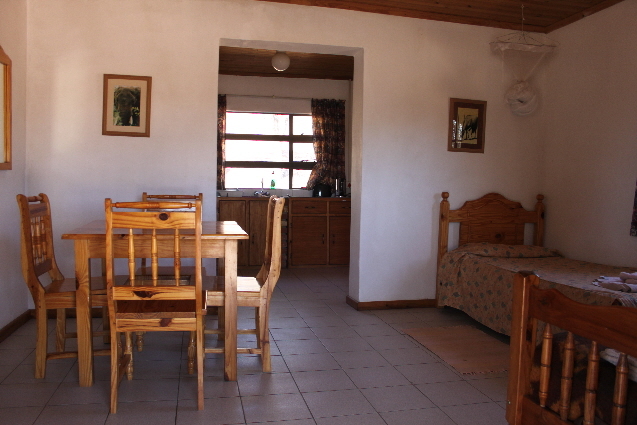 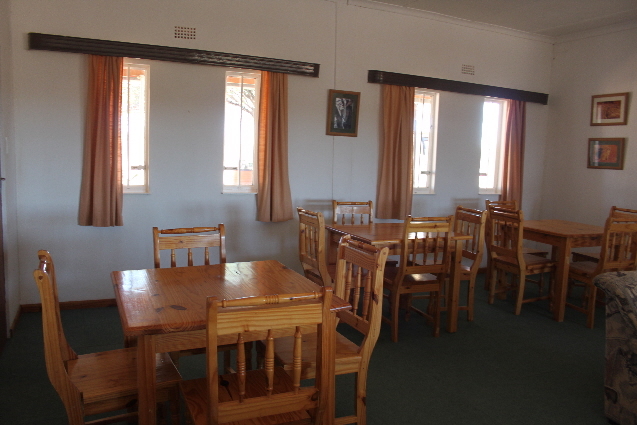 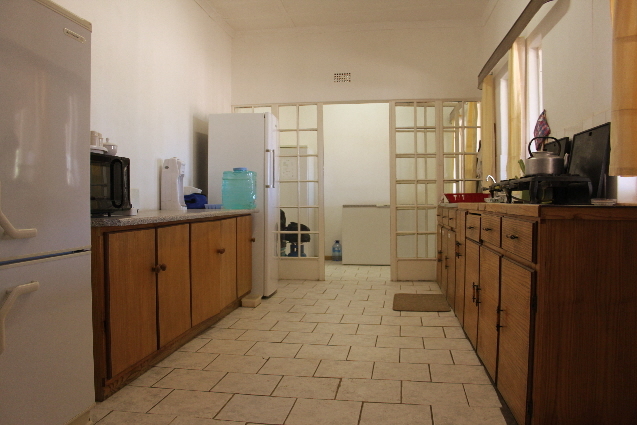 The guesthouse has a large lounge (air conditioned), dining area, fully equipped kitchen and very large stoep in front as well as a lapa with braai area at the back. 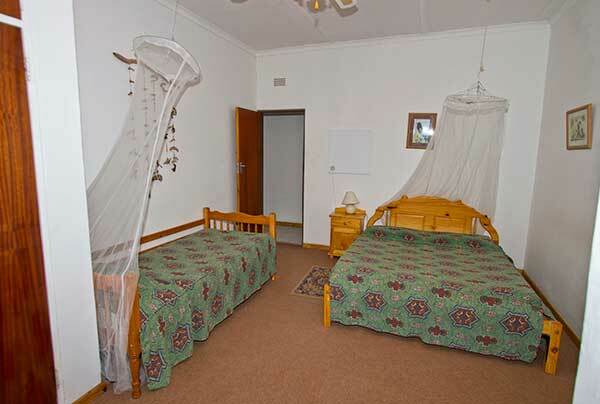 Double – R 600 per room a night. Single – R 375 per night. 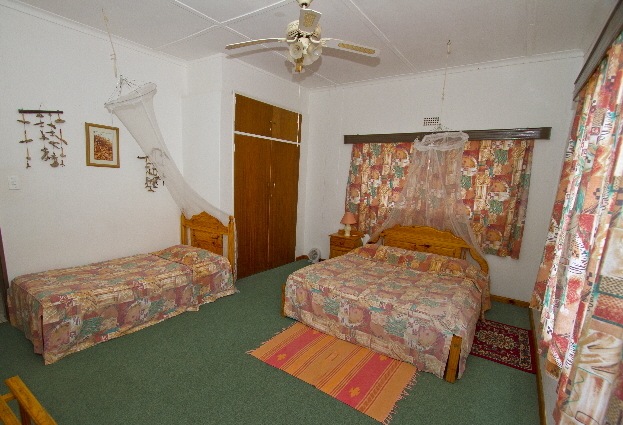 Double – R 400 per room a night. 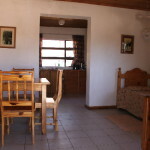 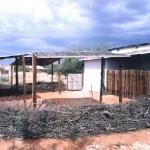 Single – R 300 per night. 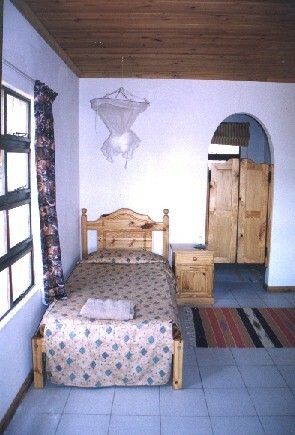 R500 per night for the room. 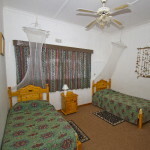 Situated 2km from the main guesthouse with 4 single beds in two separate rooms, fully equipped kitchen, shower and toilet, air-conditioned, stoep overlooking a birdbath and waterhole, braai facilities at R 1000 per night. 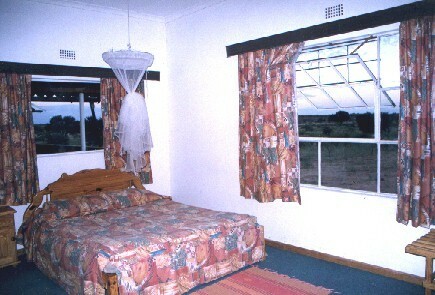 R500 per night for a tent. 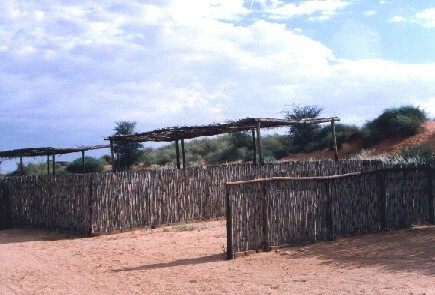 R300 per night for a tent (single). 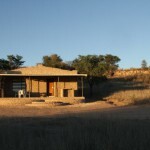 R 150 per person a night. 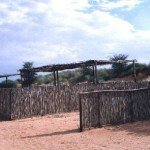 This campsite can easily accommodate fifteen to twenty persons.